There's nothing wrong with having options when it comes to choosing a new wedge. 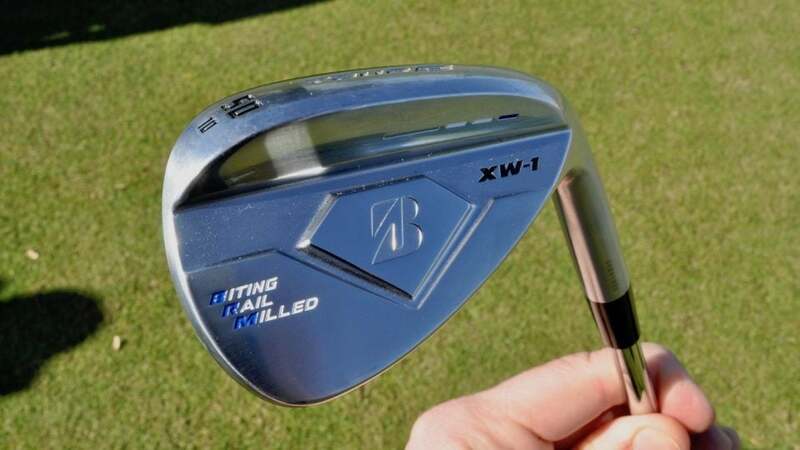 But in the case of Bridgestone's Tour B XW-1 wedge, the equipment manufacturer believes it has a good idea of what the average golfer needs when it comes to the sole grind. As opposed to offering a couple of grind options with each loft, Bridgestone chose to simplify the process and create three specialized grinds for specific lofts and shot types. "The way we've done it, we're assuming what you're going to play with each loft," said Zack Kupperbusch, Bridgestone's golf club marketing manager. "So with each loft in the line, there's a specific grind attached that's designed for the shots you're most likely to hit." The F (Flat) sole is only available on the 50-degree gap wedge and offers the least amount of sole grind in the lineup. It's intended to be used on full or mid-range approach shots where consistent turf interaction is imperative. The M (Multi-purpose) sole has moderate heel-toe relief and was designed for versatility around the green for the 52-, 54-, 58- and 60-degree wedges. The A sole is considered the most forgiving grind with noticeable heel relief that's geared to help with "explosion shots out of a steep face bunker, or pin-hunting from the fairway." Proprietary parallel rails (called "Biting Rail Technology") were added between the grooves and increase greenside spin by roughly 200 RPM's. Bridgestone's Tour B XW-1 was initially launched in Japan (October 2018) and is forged from 1020 mild carbon steel. It will be available March 1 (right-handed only) in a stain chrome finish and retails for $139.99.